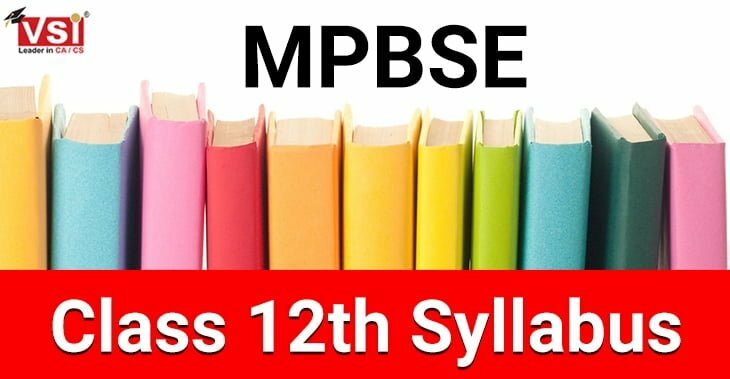 The class 12th result has been declared and now students are searching what is the best career option and courses after 12th commerce. This might be the first most crucial decision where one wrong guidance can leave you to regret the whole life. In today’s scenario, education is as important as getting married. Either relatives or your friends, everyone must be busy giving you plenty of advice. But this is your career so you have to decide what do you want to become and where you want to go. Hence, we are sharing you some of the best professional courses after 12th Commerce based on your interest and capabilities. If you are a Commerce student then you must have already heard about this course. Chartered Accountants enjoy a most respected position in the society as well as it is the most reputed course in the commerce stream. Only ICAI is authorized to give the Chartered Accountants degree throughout India. 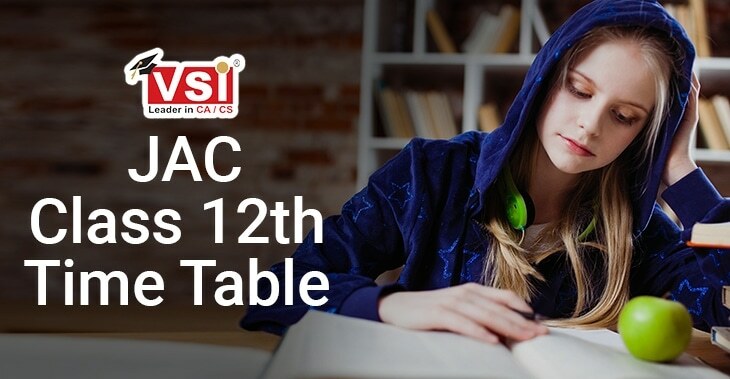 Note that you can also pursue chartered accountancy course after 12th with Science, follow the link to know more! #1 Low Fee Structure - The fee in the CA course is much low in comparison to other professional courses. #2 High Earnings - The average earnings after passing out Chartered Accountancy is 7-12 Lakhs p.a. Whereas, the students listed their name in Top 50 can get up to 25 Lakhs p.a. The above-given data is for Job. There is no such limit in Practice. The scope of Practising Chartered Accountant is unlimited depending on his capabilities. #3 Respected Position - Chartered Accountants enjoy a very respectable position in the society as they are the only person who is authorized to Audit the Financial Statement of a concern. Financial Statements could not get approved in AGM until it has been signed by a Chartered Accountant. #4 Increased Scope - With the implementation of new laws in the country such as GST, the scope of Chartered Accountants has been increased and it is estimated that by the end of 2020 there will be need of 20 Lakh Chartered Accountants. However, at present, there are only 3.5 lakh Chartered Accountants in our country. #5 No Reservation - This is one of the best parts of this course. CA has no reservation. Students become Chartered Accountant on the basis of their capability and not on the basis of their caste or reservation of any type. #6 Highly Knowledgeable - Chartered Accountants are deemed to be the most knowledgeable persons. They have an expert knowledge of Accounts, Law, Audit, Taxation as well as Finance. Ratan Tata said “I need MBA for running my business. But CA to teach them how to run the business”. 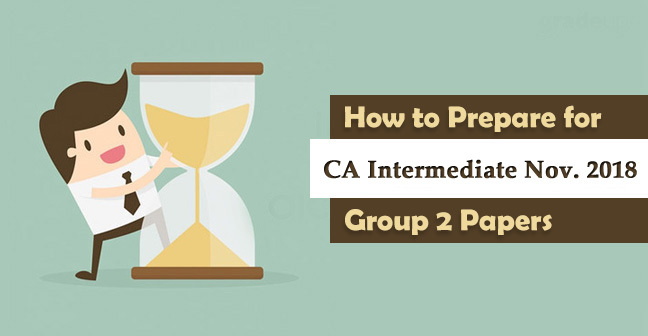 #7 Considered Graduate or Postgraduate - The students who have cleared CA IPCC/ CA Intermediate will be considered as graduate and those who cleared CA Final Exam will be recognized as Postgraduate. Hence, students pursuing CA need not pursue B.com along with CA course. 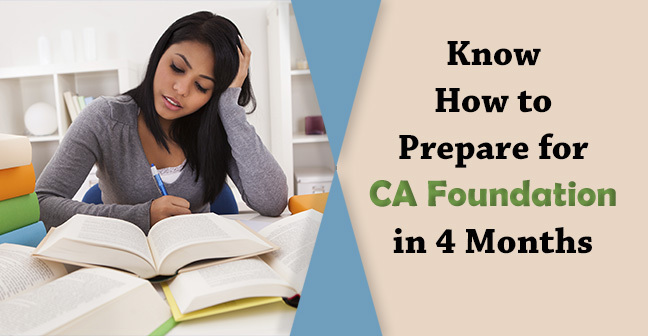 Challenging Course - CA has been regarded as the toughest course in India. The course structure is designed in such a manner that students who are really passionate for this course can only become Chartered Accountants. 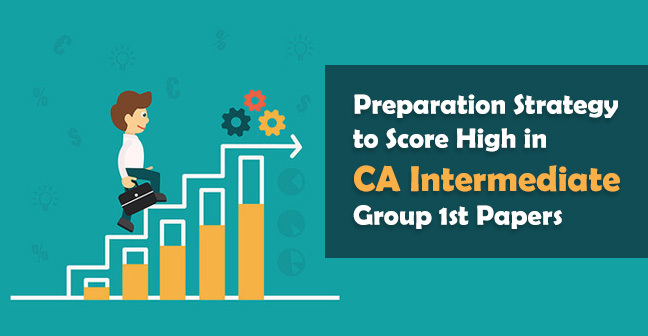 Long Duration - Duration in the CA Course is 4.5 years if all the levels are completed in the first attempt which is higher than 3 years of B.com. Although, number of attempts increases every six months. Time Management - 3 years articleship training is a part of CA Course which is mandatory to be completed by every CA Student. Sometimes, students face difficulty in managing their studies with the office. However, most of the experienced faculties consider this an opportunity as this makes you capable to handle tough issues. 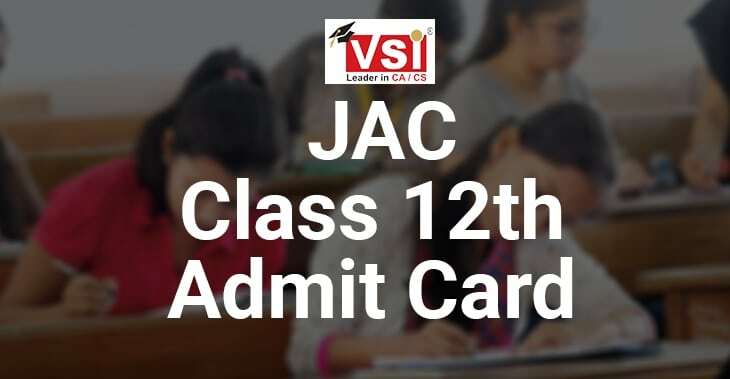 Company Secretary is also a well-respected position in our country and particularly in Commerce stream, considered as the best course after 12th commerce after CA . CS plays a major role in the company responsible for its efficient administration. Although, from past few years the scope of CS is getting down because a well experienced Chartered Accountant can handle the work of CS as well. Expertise in Legal Aspects - A company secretary has a deep knowledge of Company Law, hence he can handle the Legal aspects of a company better than anyone else. Low Fee Structure - The fee structure of CS Course after 12th commerce is lower than other professional courses, lower even compared to Chartered Accountancy. No Reservation - Similar to CA, there is no reservation in Company Secretary Course. Students qualified this based on their capabilities and not on the basis of their caste. Decreasing Scope - The scope of CS is getting reduced with the passage of time because an experienced Chartered Accountant can handle the legal matters of the company as well. Long Duration - Duration in the CS is also higher compared to B.com or BCA. It takes around 3 years if candidate clear all the level in the first attempt. Although, number of attempts increases every six months. Lower Package - After huge efforts and detailed study in CS course provides you a starting package of only 3-5 lakhs. Once a time, this was the most sought-after course after 12th for commerce and science students. BBA has a worth only if the higher studies after it i.e. MBA is done. But the course can be performed after graduation only as it is Master Degree. MBA is responsible to handle the management of the company. The position of CEO often seen to be handled by an MBA but these are the persons who have completed their MBA from some prestigious institutes. Higher Incentives - MBA enjoys higher incentives comparison to any other course after 12th. Survey on such concludes that MBA’s graduated from IIM gets a pay hike of 140%. The starting packages of MBA are 6-12 lakhs. Increases Self Confidence - MBA is a course which gives you an opportunity to handle the management of an organization. It might be a tough task in starting but slowly you will be confident enough to handle the management of reputed companies and every situation. Reputed Position - MBA enjoys a well-reputed position in the company. Most of the top company CEO is MBA. Higher Fee Structure - The fee structure in MBA is highest as a comparison to other professional courses. The middle-class family could not afford MBA course for their child from a prestigious institute such as IIM. Although, such colleges offer scholarships to such students based on their marks in CAT. 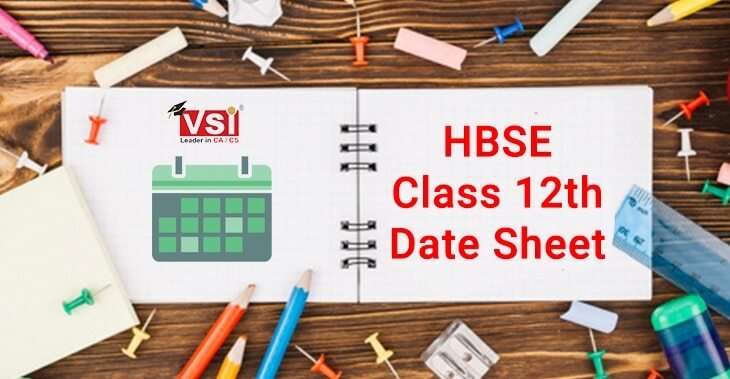 Higher Course Duration - MBA can be started only after graduation and it takes 2 years after clearance of entrance exam. That means the person who is aiming to pursue MBA after 12th, this course will take 5 years to complete. Lower Packages - MBA is a worthwhile only if it is done with some prestigious colleges, otherwise, there are thousands of MBA’s sitting jobless. Accommodation and Other Living Expenses - Most of the admirable colleges of MBA are situated in developed cities. Hence, students residing in the small cities dreaming to be an MBA have to shift to such developed cities and the cost of Living at such places are far higher than their small towns. Doing graduation from the Commerce stream takes your 3 years but still does not gives you a job surety. This degree along with first division makes you eligible for most of Bank Exams. However, if you do not appear in any competitive exam after B.com then you can work as an accountant or office assistant somewhere where your monthly salary will lie between 15-20K that too after a decent industry experience. Gives you an understanding of Various subjects - Pursuing B.com course after 12th commerce gives you an understanding of various subjects like Accounts, Economics, Finance, Cost Accounting etc. Makes you Eligible for Various Govt. Exams - Graduation makes you eligible to appear in various bank exams like RBI, IAS etc. Eligible to Pursue CA / CS without giving Entrance Exam - A graduate can directly apply for CA or CS without clearing their entrance levels. Effortless - This degree does not require any extra effort. Most of the students open the books just a month before the exam and get qualified with first division. Does Not Give a Job Surety - In the today’s scenario, B.com is like passing your school. It does not give you a job surety unless you are doing professional courses with such. After graduation, if you have knowledge of accounting software, you will be eligible to work as an accountant. Lowest Salary - Simply a graduation cannot give you a package like CA, CS, MBA. Starting earnings of graduate are 10-12K p.m. and rest depends on his capability. Tradition - B.com has become a tradition. 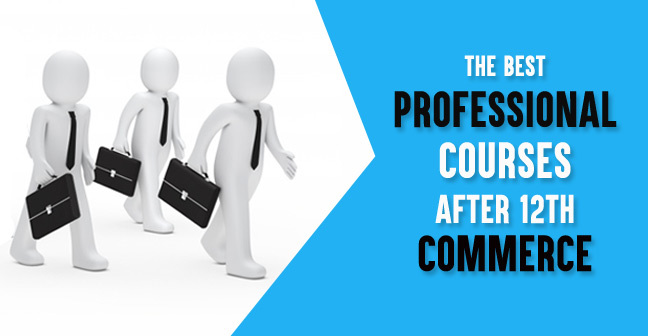 It is a side by side course whether or not one is pursuing a professional course or not. Hope you found this article helpful. Go with the professional course after 12th commerce which you thinks fit as per your interest. All the Best.